 First-time mystery writer Shriner creates a college professor turned private detective, Bennett Cole, who after nearly a decade of sleuthing around Atlanta has never investigated a murder. 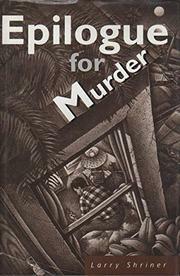 Then famous author Walker Redgrave turns up dead in a coastal Florida motel. The police say it was suicide; Redgrave's widow, who disagrees, comes to Cole for help. As he sniffs around Florida, the plot unravels in a leisurely fashion. Shriner's beautifully crafted sentences compellingly describe local geography and culture. Cole is a realistic, interesting, fully developed character, as are the supporting players: a laconic local cop, barmaid Stormy Corbin, bar owner and sometime lawyer Durel Barbour, and Redgrave's New York City editor, who provides the first concrete clue that maybe the writer did not commit suicide after all. Other than the protagonist's unrealistic lack of fear about bodily harm and forced closing monologue about how he solved the case, the plot is always credible. A noteworthy debut.